In this tutorial, we will be learning a few python list functions. In the Python programming language, there are basically four different collection data types. And those four different collection data types are mentioned below. This collection data type has a collection which can be ordered or changeable. This collection data type can further include duplicate members. This collection data type has a collection that is ordered and unchangeable. This collection data type can also include duplicate members. This collection data type has a collection which is basically unordered and unindexed. This collection data type does not allow duplicate members. This collection data type has a collection that is unordered, indexed, and changeable. This collection data type also does not allows duplicate members. As a developer, before you go ahead and choose any particular kind of collection type it is important for you to first understand all the properties or know all kinds of information about the different kinds of collection types. This will allow you to make a better-informed decision. We will be discussing all the list functions with the help of some Python list exercises. You should also remember that when you choose the right type of collection type for a particular set of data then that could mean that either the meaning of the data must be retained or there must be an in the overall efficiency or security. However, this is not it in this Python tutorial on one of the Python list functions of for. 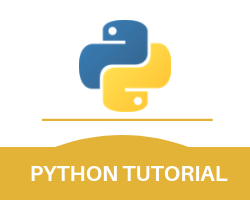 We will be taking up this topic again in the Python Loops section of this Python tutorial. As a developer who is using this programming language, if you ever wish to remove any particular item for the list then there are a number of different methods that you can practice or try out to test the function of Python list remove. Some of those methods through which you can remove any particular list item from the list are mentioned below. thislist = [“apple”, “banana”, “cherry”] del thislist print (thislist) #this will cause an error because “thislist” no longer exists. print (thislist) #this will cause an error because “thislist” no longer exists. When it comes to using a number of different methods on the list then it is important for you to know that this Python programming language comes with a few built-in methods. And some of those built-in methods that you can use on any list are mentioned below. With this, we finish the Python list functions part of our Python tutorial.